When is Thanksgiving Day 2019? Why, When and How is it celebrated? Huawei P30 Pro Review:- Is is the Best Camera Smartphone of 2019? AI and Big Data Expo Europe 2019 – Why you should attend this conference? Thanksgiving 2019 is bound to bring a familiar sense of happiness and joy as people dine with their loved ones. For the individuals curious enough about when it is the right time to celebrate Thanksgiving Day for you, the following details everything here is to know about the holiday. Why Thanksgiving Day is Celebrated? 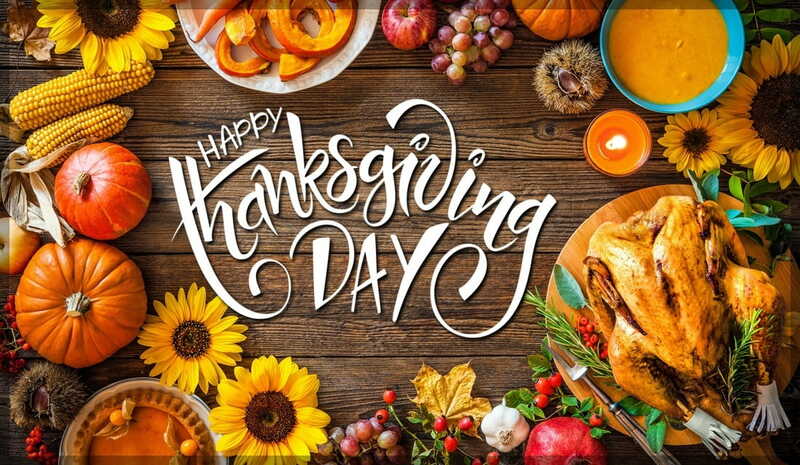 Thanksgiving is a national holiday that is celebrated to pay tribute to the harvest of the year and all the good memories of the preceding year. As the name implies, Thanksgiving is supposed to be a day when people are not only thankful for the past year but also to the individuals who stood by them through it all. Thanksgiving is the ideal opportunity for people to spend a cherishable time with the others whom they love and admire. It is generally celebrated by organizing a feast comprised of delicious flavors with the main attraction being a perfectly cooked turkey. Different regions of the world either have their own equivalent to Thanksgiving or they just celebrate it on a different date. Depending on where you live, the date of Thanksgiving 2019 might vary. If you live in the United States, Thanksgiving 2019 will fall on the 4th Thursday of November, which equated to 28th November 2019. Although, if you live in Canada, Thanksgiving there is celebrated on the 2nd Monday of October which equates to 14th October 2019. Readers living in Australia in the external Norfork region celebrate Thanksgiving on the last Wednesday of November that fall on 27th November 2019. Thanksgiving is generally celebrated with a feast that involves delicious food which mainly includes a turkey along with varying sides for the family members to enjoy. During the feast, individuals at the table tell others what they are grateful and spend memorable moments with each other. May your Thanksgiving 2019 be filled with Love, Peace, Joy Happiness & Laughter!!! Techpcvipers is a best tech magazine where you will get information about all the latest technologies evolving around you which includes software, Apps & Gadgets, gaming, mobile and also give you live coverage about latest digital marketing trends. Why you should Hire a Professional Photographer in 2019? 1. Stellar Merge PST is an award winning tool that helps you to merge or join data items such as Emails, Contacts, Notes, Calendars, Tasks, and Journals of several PST files without modifying the data of the original PST File. It supports Outlook 2016, 2013, 2010, 2007, and 2003 and is compatible with Windows 10, 8.1, 8, 7, Vista, Windows Server 12, and 8. 2. Repair your corrupt or damage database files such as .ACCDB and .MDB files with the help of Stellar Phoenix Access Database Repair. Also Repairs tables, Queries, Reports, Forms, & Indexes. Read More.. Supports MS Access 2016/2013/2010/2007/2003/2002/ 2000. 3. Artificial Intelligence, Block Chain, Internet of Thing , Virtual & Augmented Reality & Big Data are the 5 top technology trends that will dominate in 2019. Read the latest technology news on Techpcvipers. Get information about the updates on Windows, Mac and Android platform. Find all the latest gadgets, apps, deals VPN. Subscribe our Newsletter to receive the latest updates from us. Copyright © 2018 Monitored by Sucuri & Powered by Techpcvipers - Designed and Developed By TPV Team. All Rights Reserved.